The best WFC 2018 results guesser will win a UNIHOC prize. You can then start guessing by clicking on the matches and choose guess. Top 3 UNIHOC guessers with same amount of points will be ranked by most 3p guesses (correct final score) & 2p guesses (correct winner & goal difference). 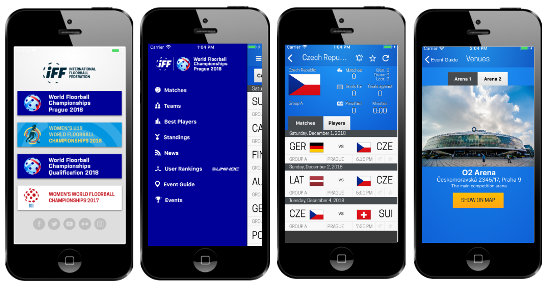 Download the iOS version in the App Store & Android version on Google Play or update your current version of the App (search: "IFF Events").